The Blue & Gray Series are American Civil War games that allow players to refight campaigns in 2 hours. 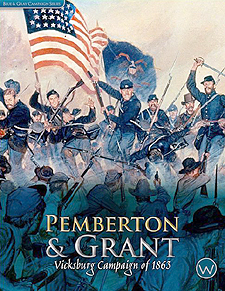 The first 3 volumes in the series portray the campaigns, in Virginia, Maryland,and Pennsylvania between 1861 and 1865. The short series rules will have gamers playing in 30 minutes. The game specific rules have details critical to each of the campaigns.